The fipronil scandal has now reached the French press and French consumers. 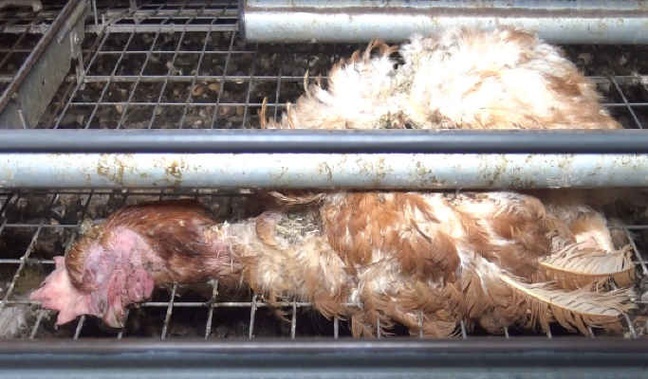 As a Dutch resident of France and president of a French association for the protection of animals as well as a keeper of poultry that through this letter I would like to express my concerns about this scandal, its origins and its consequences. I was surprised when watching the Jinek program last Tuesday, August 1st, how Dutch society in general and the Dutch press in particular is talking about the issue of "poisoned eggs" without actually getting to the core of the problem. Namely: why have so many poultry farms asked the help of ChickFriend, who sold a product that worked wonders for the treatment of poultry against pests such as red mite? The answer is simple: because it is a huge problem for the industry and, not to forget, also for the chickens themselves because there is actually no real good and safe way to fight red mite. The University of Wageningen explains the problem of red mites on their website: http://www.wur.nl/nl/artikel/Vogelmijt-bloedluis.htm I would advise you to watch the video on this page. A mite epidemic is terrible, and you can compare it to when you sleep in a room full of flies and mosquitoes. You most probably won't catch a wink of sleep. Similarly for these animals. 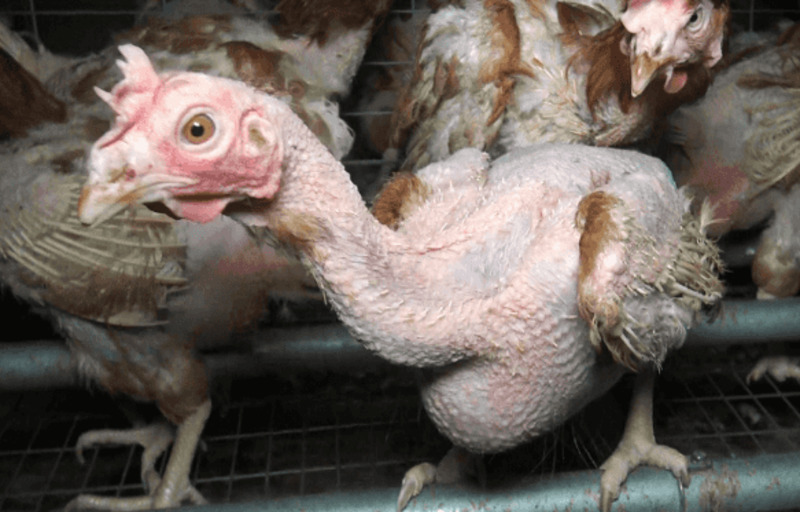 For most of the night the chickens are scratching themselves because of the itching and the bites caused by the mites. 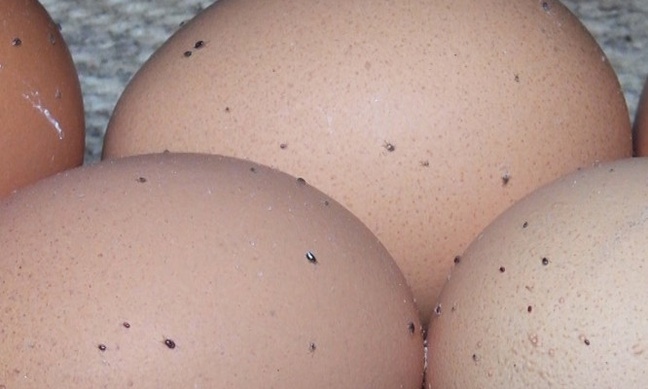 During daytime the mite remains in the chicken house in small cracks in the wall, on perches, in straw or dung. They only come out at night to feed on the chickens. The results are irritability, stress, insomnia, baldness, cannibalism, wounds becoming infected, and even death. Prevention is better than a cure they say on the site. Better yet, a cure is almost impossible without resort to an insecticide like Fipronil or Selamectin. But worse the presence of mites is almost unavoidable even under the most hygienic conditions. In a study carried out iby the University of Wageningen they state that "At about 80% of farms red mites were observed , from mild to moderate contamination (32%) to severe infection (27%)." I as a (hobby) poultry keeper with 14 years of experience can agree. It is terrible !!! 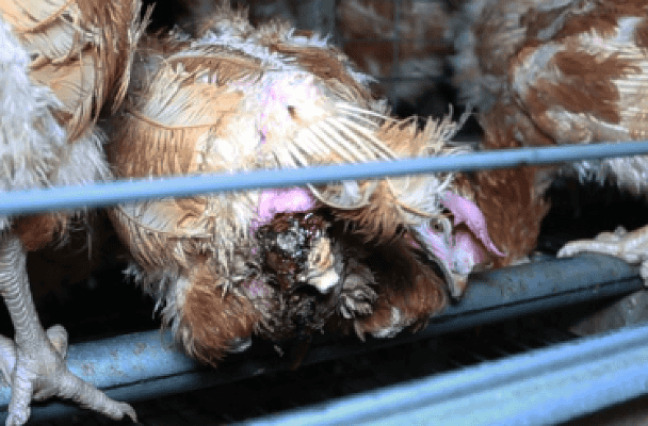 You can see just how terrible it can be in a battery farm on these photos recently published by an association for the protection of animals here in France, L214. The pictures were taken at a battery farm in the Vendée. So, the first question is: what will you do in the Netherlands to address this issue which is a major problem for the sector and also for the welfare of these animals, without putting public health at risk? Second question: how to proceed with those companies where Fipronil is detected? At the time I write this millions of animals in good health are being gassed. Remembering the gas chambers of the Second World War, it is not difficult to imagine what this means for these animals. The worst part is that the taxpayer will have to pay again for this whether he likes it or not. The Ministry of Economic Affairs is already searching for ways to come to the aid of farmers hit by the fipronil scandal. And without finding a definitive solution for the original problem: (the redmite) stables are being filled again with new chickens. Without treatment, I think it has become clear what can happen. For a reminder please look back at the pictures from L214. You may wonder whether, after the many scandals we have had so far: mad cow disease, Q fever, swine fever, avian influenza, farm fires, and now this, the Netherlands still can be proud of its reputation as an "animal friendly" exporting country. I myself start to doubt this immensely. And I think it is time that the consumer is much more involved, without beating about the bush. Ironically, the next topic in the Jinek program was the misleading advertising around animal products. Who is going to do something about that? Conclusion: keeping animals for our protein, whether it comes to meat, milk and milk products or eggs is in our view (see our contribution to the public consultation of the European Commission regarding the Common Agricultural Policy) in the long run ethically and economically not justified and not sustainable. We must abandon the idea that we can go on like this any longer. Is it so difficult to learn from all the scandals we have experienced in recent years? In a few months the avian flu will come back into play. Scientists now warn that a bird flu epidemic of type Influenza A virus subtype H7N9 (the virus that is two mutations away from a very dangerous and deadly virus to humans) this year can no longer be ruled out. 714 people have already died last year in China. Again billions of animals had to be slaughtered as a precaution. Where is the limit? For all of us, humans, animals, and the one only planet we (still) can and may live on?